For fans harbouring a lot of pain over 2K’s 1960s-themed formerly first-person shooter misinterpretation of the 1994 PC classic X-COM: UFO Defense (known as UFO: Enemy Unknown in Europe), Firaxis’ subsequent unveiling of a true turn-based-strategy reinterpretation came like a shot of soothing morphine to a bullet wound in the gut. In return for this fans heaped a Herculean burden of expectation on Firaxis’ shoulders and stood ever ready to scowl at any perceived missteps or mistakes. As if bringing X-COM’s unique blend of turn-based strategy and quasi real-time resource management to a whole new audience wasn’t enough of a challenge. 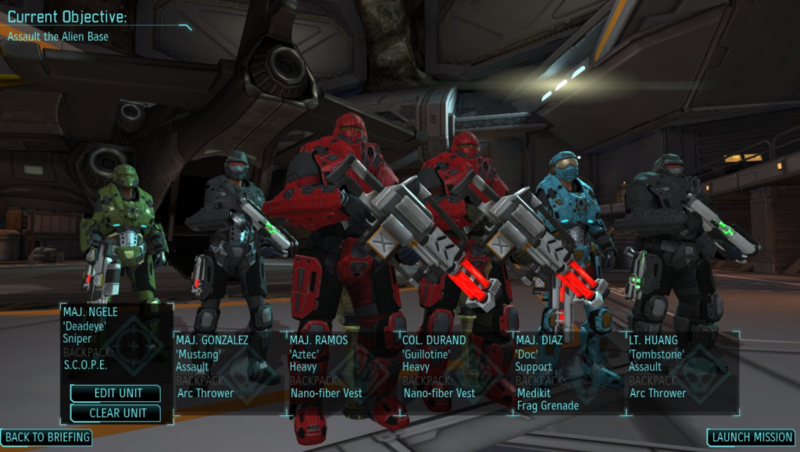 XCOM:EU’s basic premise and gameplay adhere closely to the template of its predecessor. Mysterious aliens with no grasp of the concept of “total war” have descended upon the earth to abduct our loved ones, mutilate our cows, launch terror raids on our cities and generally put the willies up people. As the commander of XCOM, an elite multinational task force secretly funded by a shadowy cabal of world nations, you’re tasked with defeating this alien threat by any means necessary. To achieve this you must monitor the globe and direct interceptors to shoot down UFOs, or wait for them to land in the middle of nowhere, then send squads of heavily-armed soldiers to the crash/landing sites to kill any aliens you find and take their stuff. The meat of XCOM:EU is its turn-based combat. You guide your squad of 4-6 XCOM soldiers from an isometric perspective through decrepit urban hellholes, lush forests, shipyards, observatories, train stations and other diverse locations. Each environment is mostly completely destructible with stray shots bringing walls crashing down, or turning parked cars into ticking petrol bombs that then explode destroying even more precious cover. You’re not given too much control over destroying the environment since only grenades and rockets can be aimed freely, although it’s still immensely satisfying to blow a hole in a fortified burger joint and charge your intergalactic enemies from behind. Combat is also where the majority of the game’s few yet persistent and annoying bugs are. Sometimes the game won’t let you fire on an alien that’s clearly in your soldier’s line of sight due to some quirk in level geometry. There are also instances where a squad of aliens or a lone armoured alien death machine can spontaneously appear right in the middle of your squad, getting cut to pieces seconds later or unfairly decimating your soldiers before you can gasp. Navigating maps with larger UFOs is also something of a nightmare on PC as ceilings tend to obscure level geometry depending on terrain height. In these instances I had to wrestle with the camera controls to move my soldiers where I wanted them to be. XCOM: EU is full of sweet little nods to its ancestor like this one. In the original X-COM each soldier possessed a certain amount of “Time Units” (TU’s) to spend per turn, with moving, shooting, crouching, turning and other actions all costing a certain amount of TU’s each. XCOM: EU replaces this imprecise method with a “move and action” system familiar to anyone that’s played tabletop D&D or Warhammer 40,000. Your soldiers can move and then fire, throw a grenade, reload a weapon, use a medkit, etc. Alternatively a soldier can dash further across the battlefield at the cost of being unable to do anything else. A soldier can also choose to hold their action for that turn and go on overwatch, which lets them take a potshot at any alien that moves within their field of fire during the alien’s turn. Firaxis’ decision to drop TU’s was a controversial one for many fans but it works, lending missions a faster pace and allowing you to focus more on your overall strategy instead of bean-counting and other unnecessary micromanagement. Between missions you manage your base, presented in XCOM: EU as a side-on multi-level “ant farm” view instead of the original’s top-down perspective. Here you can pass any alien bric-a-brac your soldiers have recovered to your scientists for study, who’ll then pass their findings to your engineers to build better weapons, armour, base facilities and interception craft. Dead aliens can be dissected leading to other advances like combat drugs and better medkits for your troops, while live ones can be interrogated for clues to their species’ strengths and weaknesses. While the original allowed you to establish multiple bases anywhere in the world, in XCOM:EU you’re limited to one main base in one country relying on satellite coverage of other member nations. You monitor the globe tracking alien activity and UFO sightings via the Geoscape view, a holographic 3D representation of the earth with real day/night cycles that you can rotate and ogle to your hearts content. Failing to respond to alien events in funding nations raises that nation’s panic level, and if a country gets too jittery they cut their funding and pull out of the project. Less money means you’re less effective at fighting the good fight, possibly meaning more nations pulling out. If enough nations pull out the XCOM project is deemed a failure and you lose. Yes, lose. XCOM:EU’s most faithful nod to its ancestor is one of it’s most refreshing features in this age of power fantasies that hold your hand like a helicopter parent at a job interview. Veteran soldiers that die in combat stay dead, resources misspent are resources you don’t get back and countries that leave the XCOM project cannot be tempted to rejoin. In XCOM: EU your decisions actually matter, particularly if you’re playing with the game’s Iron Man option (which prevents you from saving and reloading manually) turned on, lending them greater weight and making them all the more satisfying when they pan out correctly. Half of these soldiers were dead by the end of the game. As in the original the story of XCOM: EU unfolds through what your scientists discover, albeit in a less free-form manner, with important story beats gated behind priority research topics. On Normal difficulty and below you can proceed through the story at your own pace and only encounter aliens that roughly correspond to your tech level. Classic and Impossible on the other hand are unafraid to throw elite aliens at you before you’ve developed the technology to deal with them effectively. As an arrogant X-COM/UFO vet I jumped straight into classic thinking I’d kick arse, take names and chew all the bubblegum my troops could get their hands on. After all, I’d completed Terror from the Deep several times as a kid and as an adult. What could go wrong? Needless to say my first terror mission sent me whimpering to Normal difficulty, cap-in-hand. It’s not all shooting down UFOs or waiting for them to land beside an unfortunate lone cow. Sometimes the aliens will launch a outright attack on a major city to terrorise the population and force that nation’s government to pull out immediately. 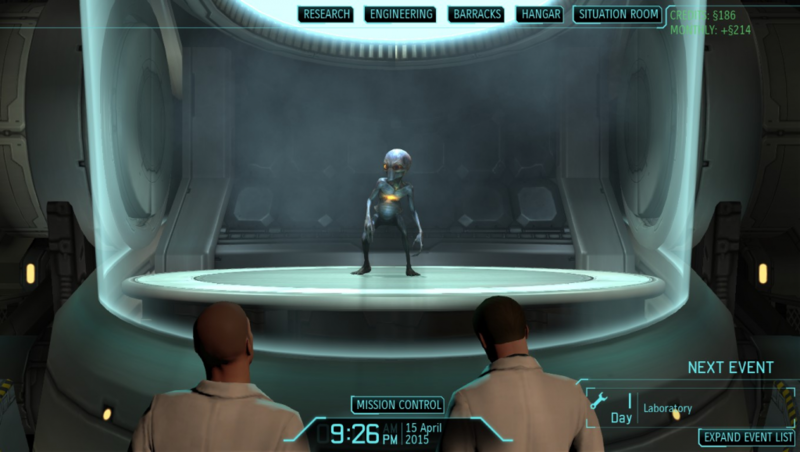 There are abduction missions which usually come in threes and force you to choose one country over two others, weighing up potential rewards against increased panic in nations already on the brink of leaving the XCOM project. You’re also on occasion given special missions by the council of funding nations to rescue VIPs, disarm bombs and clear vital installations of alien infestation, adding a nice bit of variety to the original’s crash-site/landing-site/base-assault/terror-site recipe. Another of the original’s charms that XCOM: EU successfully recaptures is the emotional attachment you’ll form with your plucky soldiers, all of which can be renamed and customised to your liking. Those who pre-ordered the game get more options including the ability to change armour colours, something not included as standard in all versions and one of my few significant gripes. That 2K and Firaxis have now made this feature available as DLC for $4.99 (£3.69) only strengthens my distaste for it. Even without painted armour however you’ll still find yourself forming emotional attachments towards your fictional strike teams, to the point where losing one in combat feels like being kicked in the face by a horse. Particularly if you’ve renamed them after friends and family members. Even moreso if they’re veterans with several special abilities under their belt. As soldiers survive missions they earn experience and can advance from tearful rookie to ranks in one of the game’s main classes: sniper, assault, support or heavy. Each level of each class has one or two special abilities to unlock like being able to shoot targets outside their vision range, dodge reaction fire from aliens, provide more healing to teammates or lay down brutal suppressing fire that also destroys cover. Some fans may feel this rigid class system detracts from player freedom but all it really does is codify the sorts of roles players used to give their soldiers anyway. Advancement also allows squad members to have individual customisable nicknames separate from their real names, further enhancing the unique personalities you’ve crafted for them in your head. Trust me. It’s not as complicated as it looks. Which leads me nicely to how near-perfectly XCOM: EU recaptures one of the most ephemeral elements of the original, which was how superbly it allowed for emergent stories unique to each individual player. Two fans of the original X-COM might have a story involving a squaddie called Otto Zander fighting aliens on a terror mission, yet these stories would be wildly different. In the first one Otto the rookie tracks the last alien on the map – a lone Sectoid – through a convenience store, across a street and into a suburban house before nailing it with a laser beam through its skull. In the other story Captain Otto steps out of the Skyranger on turn one and gets a faceful of plasma, killing him stone dead. A third player might never have a soldier by the name of Otto Zander at all. XCOM: EU triumphs in capturing that same unique narrative magic where so many other aspiring spiritual successors have tried and failed. Certain core story missions will be similar for a lot of players yet the space between those defined points are left intentionally blank for you to fill in with your own tales, each individually more resonant than any grand overarching narrative. Stories about soldiers like heavy trooper Jeff “Nitro” Jenkins, who blew up a petrol station to kill a group of zombified civilians before horrible alien bugs could hatch from their corpses, will stay with you for a long time. I’m not entirely a fountain of gushing praise for XCOM: EU. As I mentioned earlier there are more than a few noticeable bugs and while most are tolerable enough, a couple of rare ones are serious enough to stop a Classic or Impossible Ironman playthrough dead in its tracks with no chance of recovering. Playthroughs you might have invested tens of hours into. 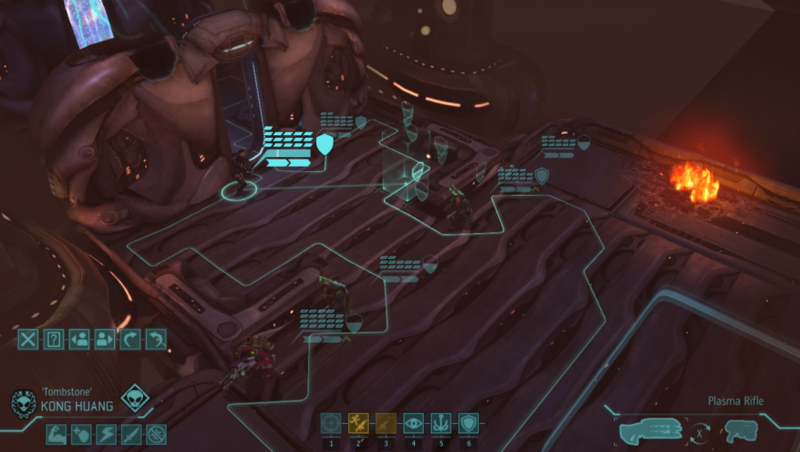 XCOM’s multiplayer is currently afflicted with some bugs of its own that prevent you connecting to other people’s games, or drop you from a game just as you’re about to win. A huge shame since the multiplayer has the potential to be a lot of fun when it actually works. I also feel a tiny bit more strategic depth than necessary was lost in the streamlining process, like wafer-thin slivers of prime meat accidentally thrown out with the fat. I don’t entirely miss having to to equip my soldiers down to individual ammo magazines strapped to their left shoulders or other such micromanagement fiddling, yet I do miss being able to strap grenades to every square inch of a useless rookie and send him away to explode somewhere. Another minor complaint is how the Geoscape feels a tad smaller than it did in X-COM/UFO due to there being far fewer UFOs flying around, making the supposed alien invasion feel more like a rowdy intergalactic pub crawl during the game’s calmer moments. Interceptor combat between your fighter craft and UFOs is also just as dull as it was in the original, even with the new option to craft one-shot “buffs” for your fighters against the more powerful UFOs. Anyone wanting a more engaging interception system will have to wait for Xenonauts. Despite all these relatively minor complaints it pleases me to say Firaxis have created a fantastic spiritual successor that can bear the venerable X-COM/XCOM name with pride. 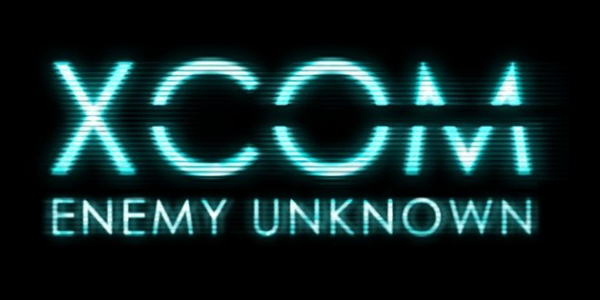 XCOM: Enemy Unknown distils enough of classic UFO/X-COM’s essence to satisfy all but the pickiest of grognards into a streamlined modern package, maintaining nearly all of the original’s atmosphere and difficulty while still being accessible to people who’ve never played a turn-based strategy game before. As well as being a worthy successor XCOM: EU also stands on its own as a great title in its own right, providing console owners in particular with the kind of meaty strategic resource management experience they’re often unfairly considered not worthy of. Buy it, play it, then come back here and tell me your stories. All of them.